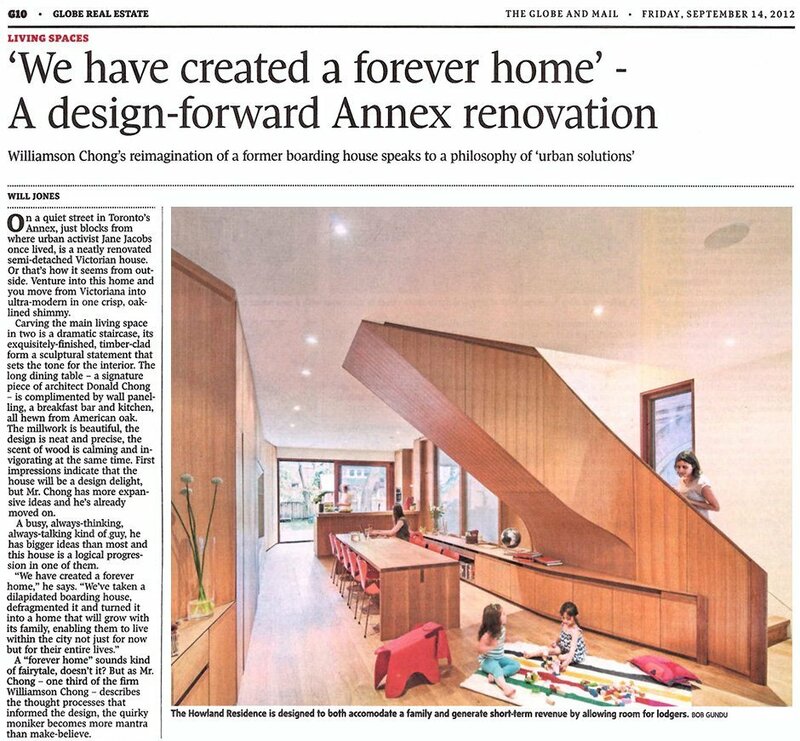 Blantyre House featured in The Globe and Mail | Williamson Williamson Inc. The Blantyre House is an example of one of our ground-up infill projects that contributes to our developing notion of ‘incremental urbanism’ in Toronto. Thanks to John Bentley Mays for the article, Bob Gundu for the photographs, and Ken and Bonnie for opening their home. The full article can be found on The Globe and Mail’s website with a slideshow of images by Bob Gundu.